Today I will tell you a little telescopes. And we all associate with a telescope to the typical image of a fat-filled tube lenses (and mirrors) with two holes, one fat coming out of a house and another small where a petite person puts the eye to see. This idea is typical of an optical telescope. Optical flame is because what it does is take the visible spectrum of light and translate “something” where the observer looks. This can be anything from the retina, to a screen. But if you will follow me (which I doubt) you read when I speak of nebulae, gases and dust (among other things) that are not always “paints” the visible spectrum, with infrared valuable information to not “stop” nothing . These telescopes are called IRTF and, for example, NASA is in Hawaii on Mauna Kea. Visibly, these telescopes are the same as the “optical” standard and taking a particular frequency of light and therefore as good wave is light, governed by the same physical properties, worth the same as an optician. 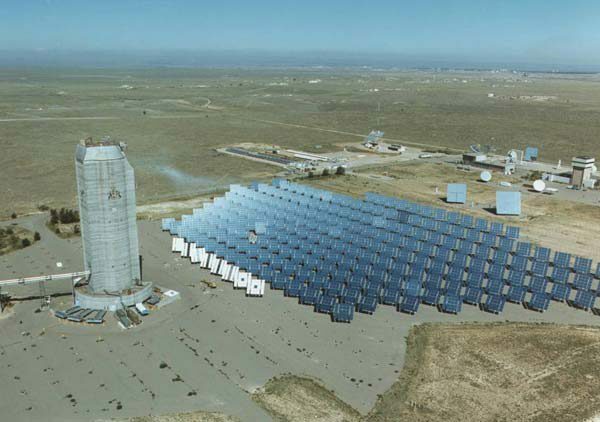 But, if you see in the picture, there are a type of telescopes that look more power plants. CRTF is the case or Central Receiver Test Facility. Although its main idea is precisely that of thermal power station using solar energy has seen that also applies to energy concentrate certain parts, such as gamma rays, the stars in order to see quantity and quality of it. That is, these “telescopes” serve to view and calculate the amount of gamma rays emitted by, for example our Sun, that affect Earth and calculate (and predict) much better these outbursts. Another use, deeper, is exploiting those supernovas emit high radiation of gamma rays. These emissions from leaving until they can contain information their way, for example, nebulae, clouds of gas, cosmic dust which helps analyze, from another perspective the content of these. The good thing about these telescopes is that they are big, very big, huge, and give us much more information (collect more information) than the typical telescope. Consider that the image has 200 mirrors and an area of ​​nearly 3000 square meters. As large as the largest radio telescopes. 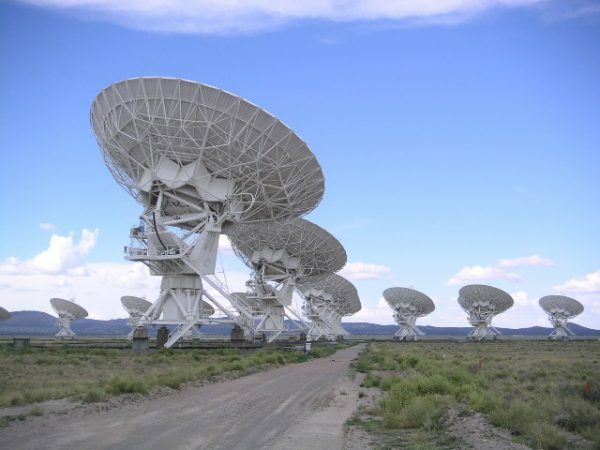 And speaking of radio telescopes, a radio telescope is just one designed to capture radio waves that are nothing more than electromagnetic waves of very very large. To give you an idea, the light is on the order of nanometers, while radio waves tend to be millimeters (3 or 4, you also yourselves to the idea). Because the length that can capture is very great, telescopes can be added, that is, knowing the size of the wave that is intended to capture can be used more than one as long as the distance between them is in resonance. Hence you have seen on TV places with dozens of “satellite dishes” that move. Or are VLA Very Large Array. In short, you see, depending on what you want to capture, so it must be the telescope in question. Something very interesting, especially for a telecommunications engineer.